In the words of Anne of Green Gables, “Tomorrow is always fresh, with no mistakes in it.” This little saying holds true for our eating habits as well, and research proves mornings are literally a blank slate to our digestive system. How we start our day calibrates our metabolism and can either aid in our health efforts, or wildly sabotage our goals. The start of our day holds another little trick up its sleeve: it can be a powerful detox session for our body if we play our cards right. It’s not news that a detoxed body= a body primed to lose weight/be a fitness beast. 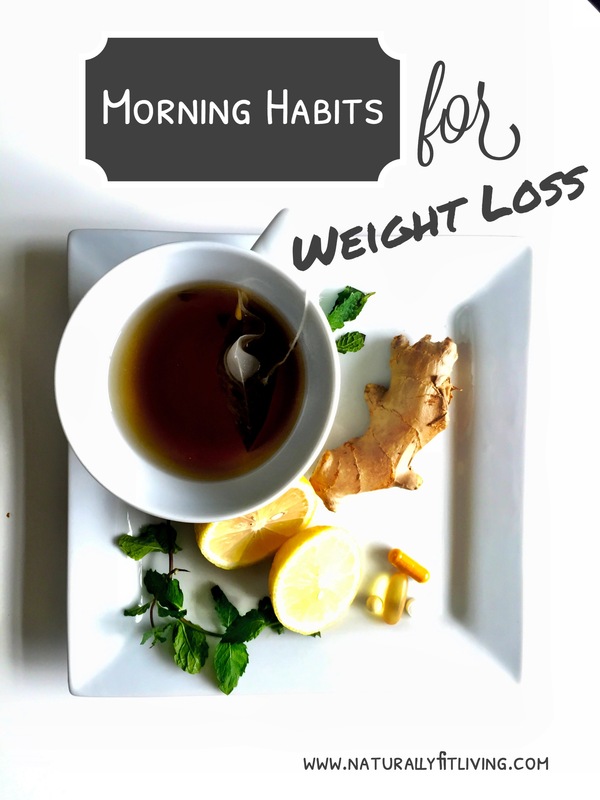 The great news is that we can get the most out of our morning with just a few simple habits. I hate early mornings with an intensity that borderlines on out of control. I personally, require minimal thinking, breathing, doing, and moving in the AM, so the less complicated, the better. Let us have morning success, and let it be effortless, ammirite? I’ve found these little habits make a huge impact on the overall success of not only my conquering the early AM hours, but the rest of the day as well. FYI: these aren’t just some random tips I’ve read about somewhere. I’ve incorporated them into my life for the past several years. These little tricks work people. They work. Scouts honor, from an honorary member of the Anti-Morning League. Stop! Don’t touch that caffeine! Before you eat or get your cup of coffee on, drink a huge glass of water with freshly squeezed lemon juice. This has a crazy long list of benefits, but the top three are: it hydrates your body (dehydrated bodies are sleepy and dysfunctional), gives it an amazing dose of vitamin C (goodbye sickness, hello anti-aging! ), and it naturally detoxes the body. WIN-WIN! TIP: drink it hot with some honey, or slightly cool like a lemonade. Avoid icy cold though, because we want to aid our digestive system and metabolism. A word of caution: lemon is acidic, so I use a straw to protect my enamel. I also throw in freshly grated ginger root and/or freshly mash minted leaves. Ginger is pretty much magic for your body, which doesn’t surprise me in the least as a ginger kid. We’re like the unicorns of society: rare, magical, and people don’t believe in us. Whatever, doubters! Just eat more ginger root! Have you heard about the Bulletproof diet? I don’t personally agree with all of it, but one key point it hits on is the average American is starved of healthy fats. Fats are a major source of long lasting energy. Our bodies and our brains literally use them to do everything we need to get through the day. You might have heard about how our bodies convert carbs, proteins and good fats into energy. If you think of it like a car driving, carbs provides enough fuel to go around the block a couple times. Proteins (I’m not talking about meat, which is actually really tough on your digestive system) have more of a kick, and allow you to drive perhaps to work and back. Fats however, give you a much fuller tank. How to get your healthy fats in? Tip: Melt organic coconut oil and drizzle over bee pollen (amazing source of B vitamins) or into your green smoothie. Or follow the Bullet Proof Diet and add to your morning cup o’ coffee! Skip the heavy breakfast and drink your green smoothie. This has sorta become a commandment in the vegetarian/vegan community: thou shalt drink thy smoothie on the reg and in the morning! There’s a good reason why this has become a staple. Energy slumps and cravings are usually from three things: not getting enough nutrients (key word nutrients not calories), eating a protein heavy breakfast that require a great deal of energy to digest, and eating sugar filled foods/drinks that spike your blood sugar only to slam your sugar levels down harder than a UFC fighter could drop you to the ground. A green smoothie starts your day out with a ridiculous amount of fiber and nutrients that keep your sugar level stable, your cravings at bay, and doesn’t overly tax your digestive system. It’s a good miracle and best part, it takes mere moments to make. Forget your granola bar; reach for your smoothie. Tip: food prep several days worth of smoothies. In a mason jar, add the greens, fruits, and seeds you will use. Seal jar, line up in fridge and grab when you’re ready to use. Add coconut/almond milk or water when you’re ready to use. Green smoothies will store for 2 days but I find it easier to prep ingredients and make it fresh. Open your blinds right away. I hate this because I’m a natural cave dweller till about 10am. Ok…ok. Moment of honesty, until noon. Do you even know how painful early morning Mysore sessions are for my soul?! However, light not only wakes me up (daylight, be gentle on me!) but it regulates the metabolism and hormones. You might have heard about how devices with a back light messes up the body’s sleep cycle at night by disrupting the distribution of melatonin. Sunlight kicks our bodies into gear by signaling an appropriate hormonal cascade that tells our endocrine system it’s time to wake up and start burning fat. Tip: get outside and take a brisk morning walk for 10-15 minutes. Or run, if you’re a Super Bionic Human. I myself am content to resurrect slowly from my bed. If you’re not a morning person like me, it can be easy to start our day off on the wrong foot. 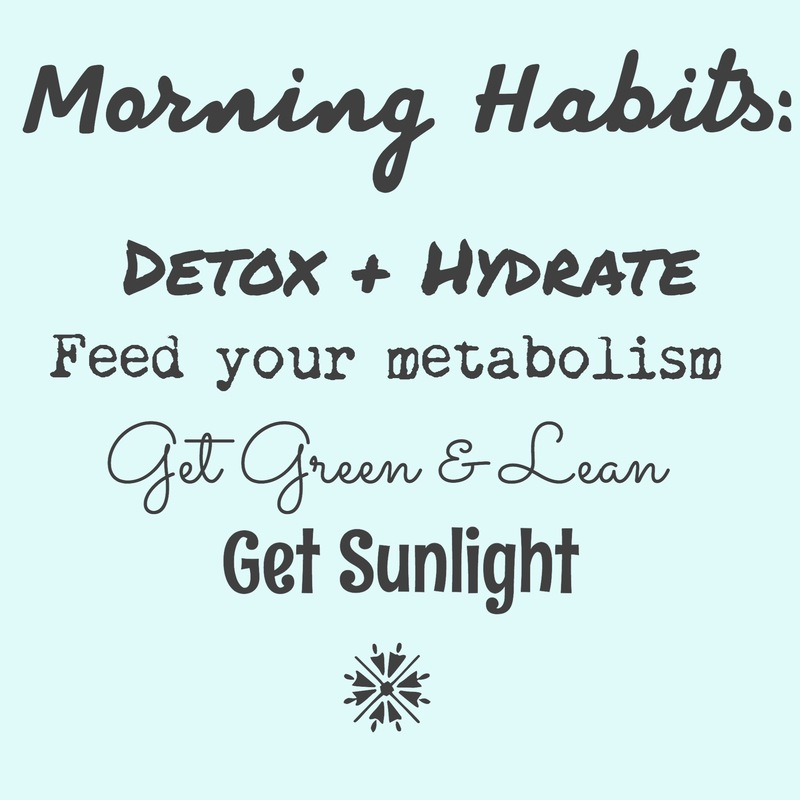 But even those bright eyed, overly enthusiastic morning people that we want to *gently shake miss out on the opportunity to calibrate their bodies to optimal detox & weight loss capacity when they don’t set up a healthy morning routine. Give this a try for at least 2-3 weeks and see if you start noticing a difference. I definitely did, so I wanted to share it with you. Have a lovely weekend…and feel free to sleep in till noon. I won’t judge.